Singer-songwriter Joseph Arthur and former R.E.M. guitarist Peter Buck are no strangers to the music world, and have worked together many times in the past, but this year saw a new collaborative project from the duo, Arthur Buck. 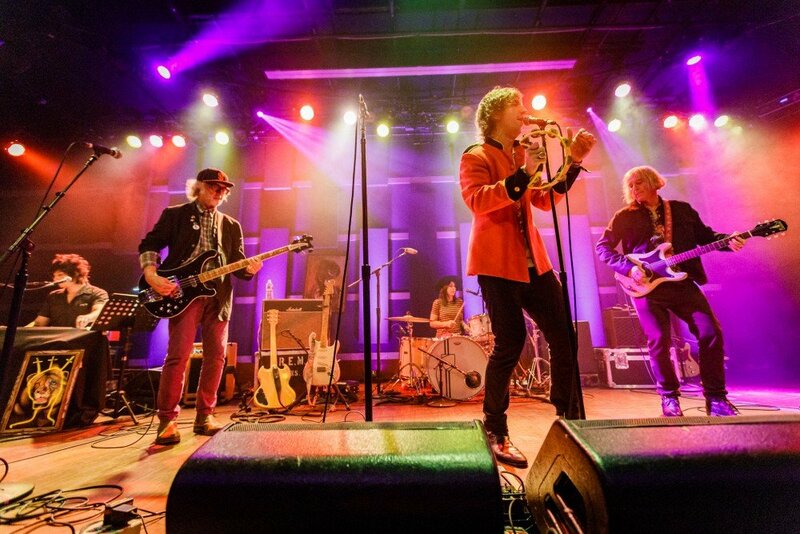 The band’s self-titled album came out in June, and their recent run of east coast tour dates brought them to World Café Live in Philadelphia, where they played a blistering set of tracks from that release backed by Scott McCaughey on bass, Linda Pitmon on drums, and Gregg Foreman on keyboards. Live, the group kicked the intensity (and the rock) up a notch from the album, and even debuted four new songs they’ve already written since. Opening the show was Philadelphia based singer-songwriter Jeffrey Gaines. Arthur Buck at World Cafe Live in Philadelphia, PA on September 18th, 2018. Photos taken for Concert Addicts concertaddicts.com. Please note that all photos are copyrighted and may not be copied or reproduced without permission. Jeffrey Gaines at World Cafe Live in Philadelphia, PA on September 18th, 2018. Photos taken for Concert Addicts concertaddicts.com. Please note that all photos are copyrighted and may not be copied or reproduced without permission.